The base shipping cost in Canada is $5.99, but there are quantity discounts available if you can put an order together with other pastors or church workers. Please note that you must order this yourself. The seminary cannot order the diary for you. If you have difficulty with online ordering, please ask for help from a family member or parishioner. Just received my copy. Looks good! 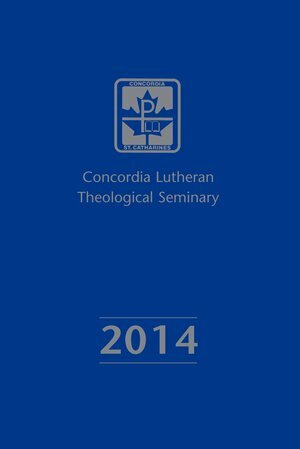 I appreciate the inclusion of the LSB 1-year lectionary. A version in PDF would be wonderful too so it could be printed to a 8.5 by 11 page, but the bound booklet is wonderful! We’re glad you appreciate it. Because we receive the files from Thrivent in the US, I don’t know that we would have permission to offer a pdf. More importantly, we need to achieve a minimum number of sales to make the project pay for itself, since we no longer receive any subsidy.